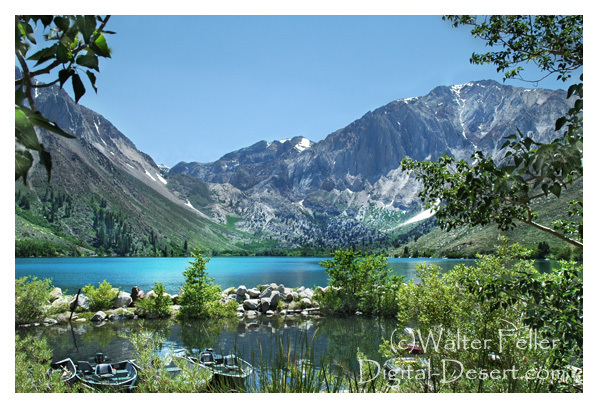 Convict Lake (elevation 7,850 feet (2,393 m)), is a lake in the Sherwin Range of the Sierra Nevada. It is known for its fishing and the dramatic mountains (including Mount Morrison) that surround the lake. In 1871, 29 prisoners escaped from a Nevada territorial prison. They broke up and went separate ways with 6 of them heading south toward Owens Valley. A posse overtook them at what was known as Mt. Diablo Lake. The escapees killed two members of the posse as well as earlier murdering a young mail carrier. The lake became known as Convict Lake.